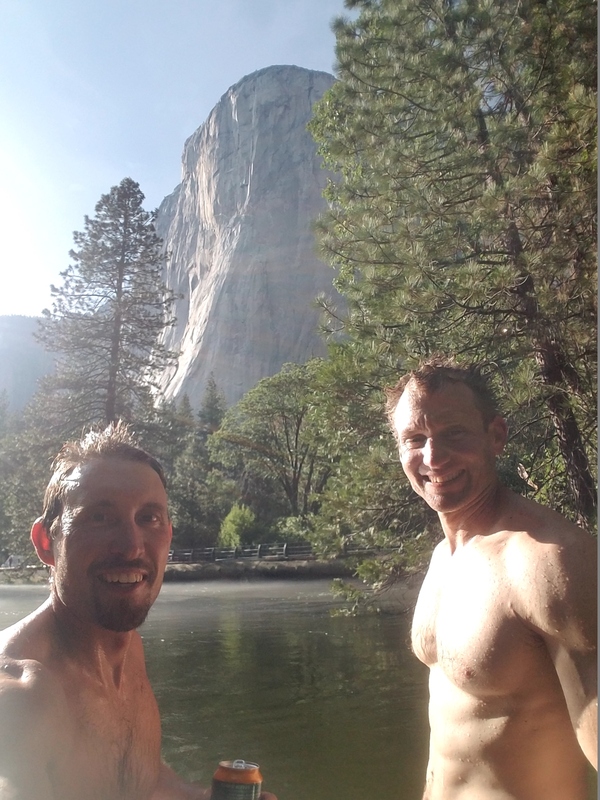 It is still uncertain what caused Tim Klein, 42, of Leona Valley, California, and Jason Wells, 45, of Boulder, Colorado, to fall to their deaths while climbing fast and light on El Capitan's Salathe Wall with Kevin Prince on June 2, and the accident remains under investigation by the National Park Service. 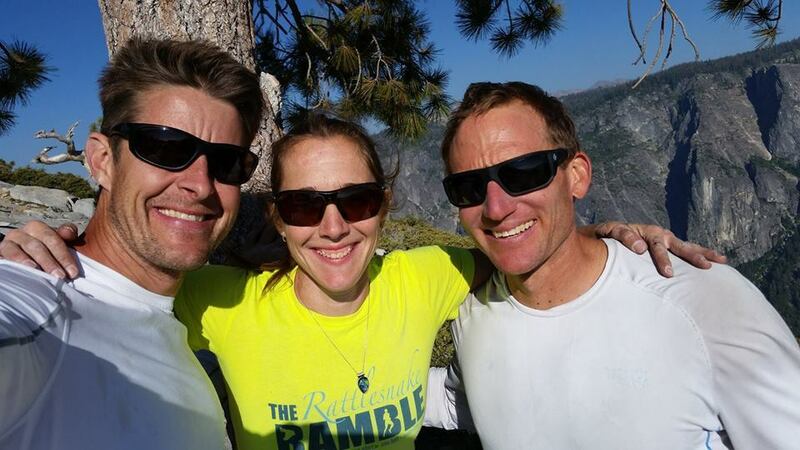 Klein's wife, J.J. Klein, told ABC7 News that her husband and Wells had climbed El Cap at least 70 times together. 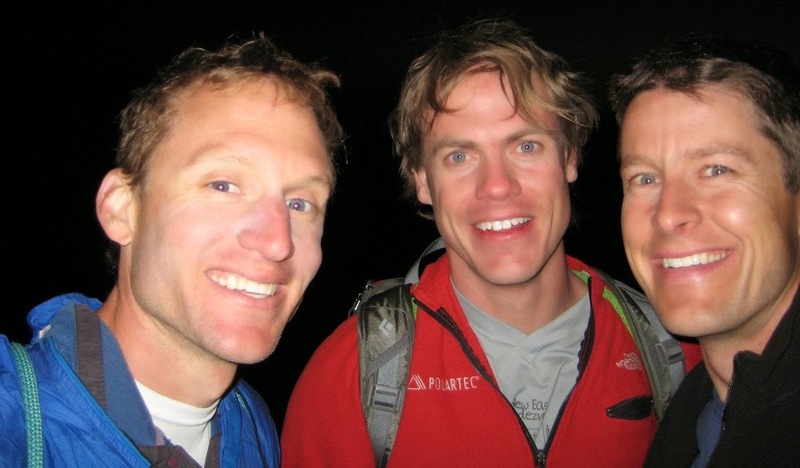 They had been climbing partners since college and were very experienced speed climbers who were known to lap the Big Stone multiple times in the same weekend, and on an annual basis. The day of the accident was a typical busy Saturday, with several different teams of climbers on various routes in the vicinity of where the accident occurred—on 5.7 terrain just below Mammoth Terrace, about a third of the way up the wall on a section of the Salathe known as the Freeblast (5.11b, 10 pitches). What exactly precipitated the catastrophic fall has not been determined and the Park Service has yet to release its report, so officials have not been at liberty to comment for the record. A June 4 article by James Lucas for Climbing.com includes an eyewitness account from Jordan Cannon, who was climbing on Freeblast that morning. Cannon said that Wells, Klein and Prince passed Cannon's team on the third pitch; Wells was leading and they were moving quickly, short-fixing and not placing much protection. According to Cannon, Prince was ascending a rope that Klein had fixed to bolt anchors above the Half Dollar, and Klein and Wells were apparently simulclimbing the easier terrain above, when Cannon "heard a thud" and saw Wells fall 60 meters and Klein fall with him. Their rope momentarily caught behind a block.... Then their cord severed and both Wells and Klein fell approximately 1,000 feet to the ground. Cannon says it was impossible to determine if they had gear between them due to the rope being severed a few feet above Klein's knot. 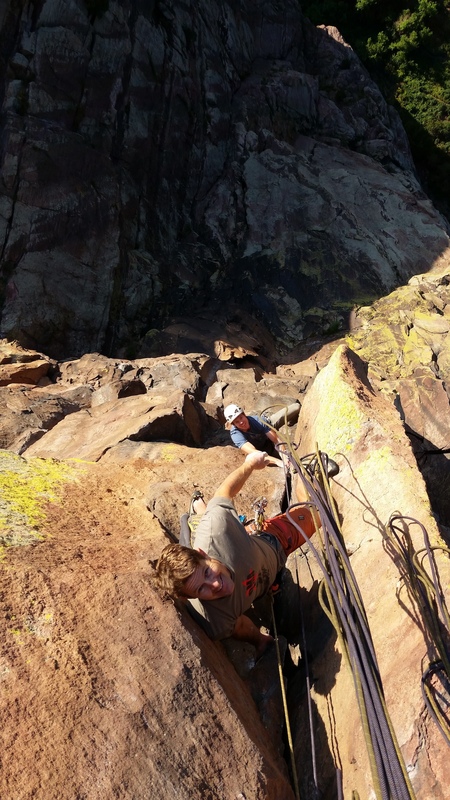 Now stranded, Prince joined Cannon's team to finish the climb to Mammoth Terrace and access the Heart Ledge rappels. Klein is survived by his wife and two children, and a GoFundMe page has been started to aid the family. Wells is survived by his wife, Becky, their unborn daughter, and a daughter from a previous marriage. A GoFundMe page for their family can be found here. 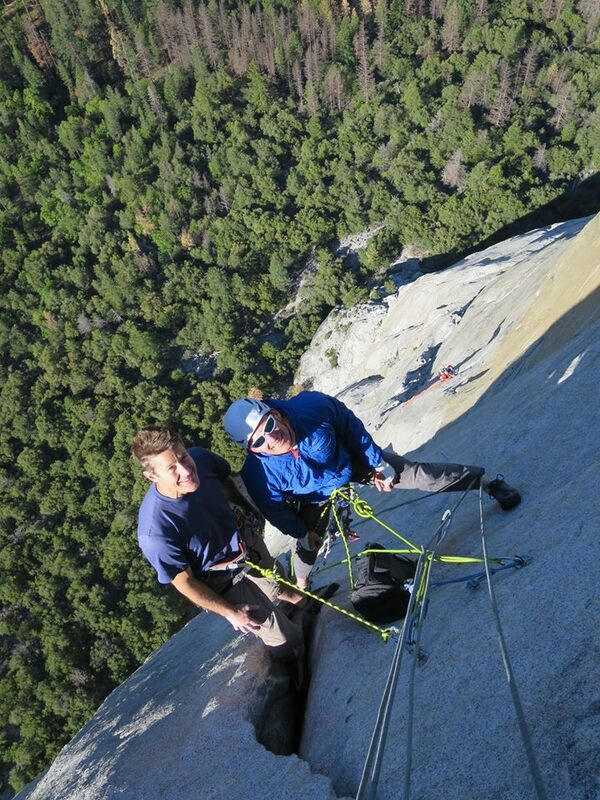 Jim Herson—a friend and climbing partner of Klein who has done a few El Capitan ascents with him each year for the last eight years, and who has known him for even longer—said he's struggled to describe the beloved and admired high school teacher. "Tim can't be captured in a few words. Or a few volumes for that matter," Herson said. "I don't know a person, no less a climber, whose life mission was so completely focused on helping others. I just got off the phone with his co-director of the Health Careers Academy they run within their high school. Story after story of the profound life-changing impact Tim had on students. As little as the climbing world knows about Tim's amazing climbing, we know even less about his real passion, teaching and helping kids. He was one of a kind!" Testaments to his involvement with his students and community abound. One photo posted to his Facebook page shows a chalkboard filled with notes that frequently stated, "You were the best teacher I ever had." Klein set a Guinness World Record on December 30, 2016, to raise funds for a student who had been shot in the head as a bystander during a drive-by shooting. She survived but was reluctant to return to school in a wheelchair. Klein decided he would attempt to beat the Guinness record for scaling the height of Mt. Everest / Chomolungma (8848m) on an indoor climbing wall in fewer than 13 hours—he finished in 9:26:15. Tim won all sorts of awards and recognition [for it]. But what Tim really did, which was his plan all along, was [to give the student]...the confidence to return to school. Last week she went through graduation with her class. She still has work to do for her diploma. But it was important to her to walk through graduation with her friends and classmates..... The part of this story that I love is that Jason flew out to be by Tim's side and support him the entire day. I had so much fun that day just texting Jason and telling jokes between the three of us to keep Tim climbing. It was my most fun day of gym climbing and I wasn't even in the gym.... Tim and Jason's friendship was the real gift to the climbing community. Wells was an investment manager who was known for the pure happiness he emanated whenever he was climbing. "When Jason was climbing a 5.10 hand crack, he would let out these whoops of joy," said his friend Brady Robinson. "You could tell they were sincere and deeply felt. His unbridled enthusiasm is what made him such a joy to climb with." Those WHOOPS were known among friends as the "Wellsian Whoop," said Stefan Griebel, who set a speed record of 24 minutes, 29 seconds, on the Naked Edge (5.11b, 460') in Eldorado Canyon, Colorado, with Wells in 2015. For that challenge, the clock starts and stops at a bridge over South Boulder Creek, meaning the approach and (exposed fourth-class) descent is part of the race. "It was so fun! One of the funnest climbs I ever did," Griebel said of their Naked Edge record. Griebel and Wells met each other through their mutual friendship with Robinson around 2010 and quickly became good friends. "He was a math guy and I'm an engineer," Griebel said. "It wasn't all climbing—we became best friends really easily. He is the only climber I know who never hesitated to invite a third person along. He was so confident in his ability to move quickly, having another along just made it more fun.... And for as much climbing as he did, he had so much love for his daughter and his new wife." Jason and Becky were married in 2016; Klein was the officiant. Alpinist will update this story as more details are verified.